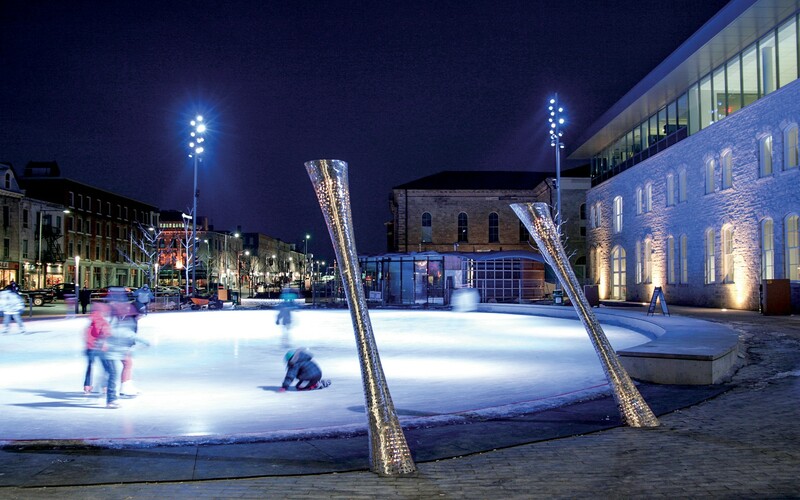 The redesigned Guelph Market Square is part ice rink, part interactive water feature.Thanks to color-changing lighting, it's a fun place for residents to come together at night. For a long time, it was an empty lot. I think they were surprised by the amount of people using the skating rink during winter. Located roughly 62 miles west of Toronto, the City of Guelph was founded in 1827. Its City Hall opened in 1857 with the Market Square just in front. Over the years, activities in Market Square had waned. 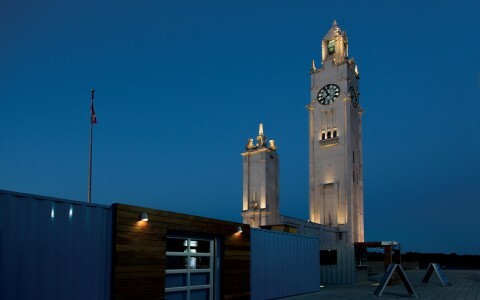 Eventually, the City of Guelph added a modern-looking annex to the City Hall building. 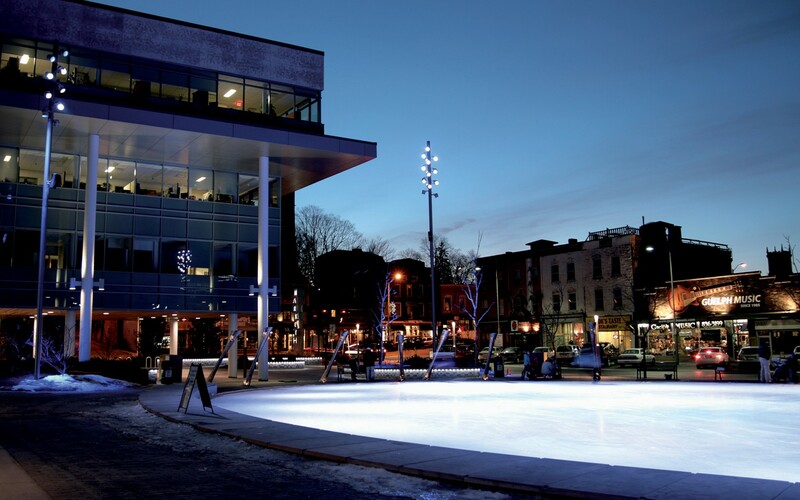 The City then hired landscape architects Janet Rosenberg & Studio (JRS) to revitalize the historic downtown square and the street in front of it, and Gilles Arpin from Éclairage Public to illuminate both areas. "They wanted to recreate a public space for people to share," says Arpin. 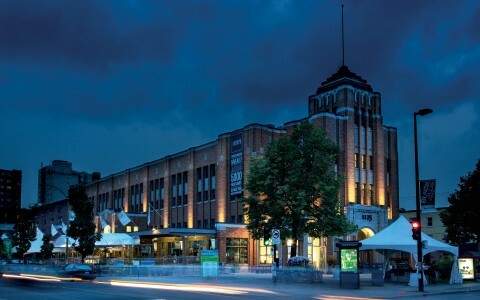 Market Square was designed to accommodate a variety of uses throughout the year. 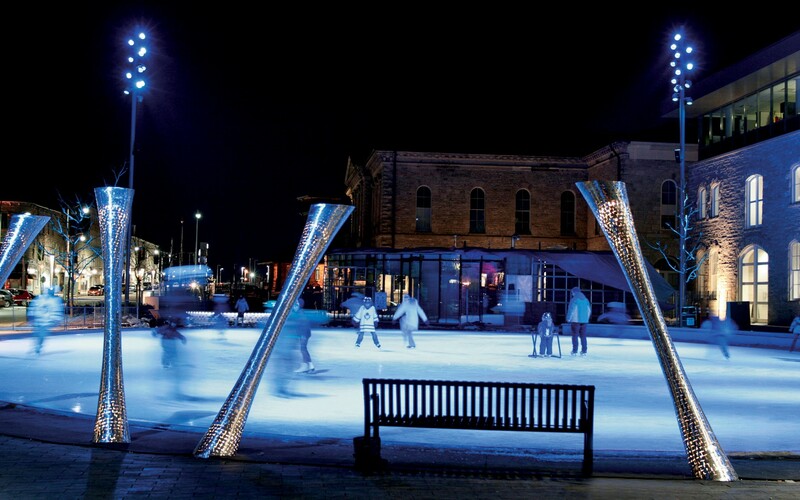 Its defining feature is a large interactive fountain that turns into an ice rink during the winter months. "The urban design is the primary source of inspiration," Arpin recounts. "We worked closely JRS to determine the tasks and the ambiance, implementing the posts, the position of street lighting, the light by the benches, and so on." 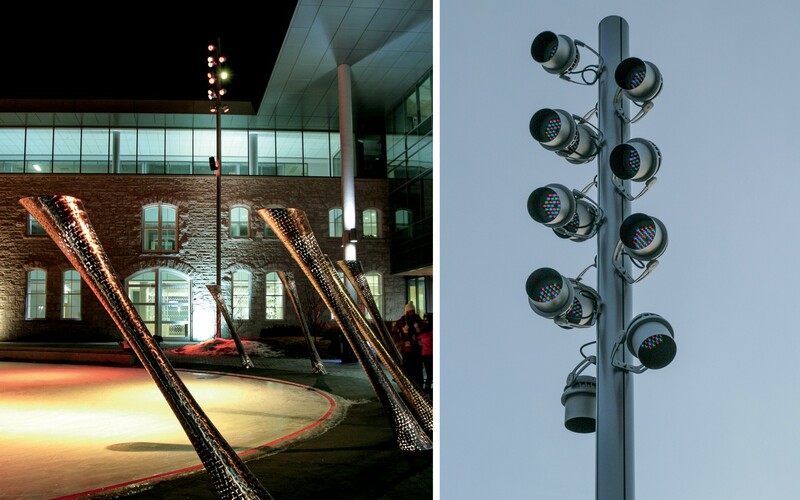 Four Technilum poles were posted around the water feature, and 12 Lumenbeam Large Color Changing fixtures were installed on each. 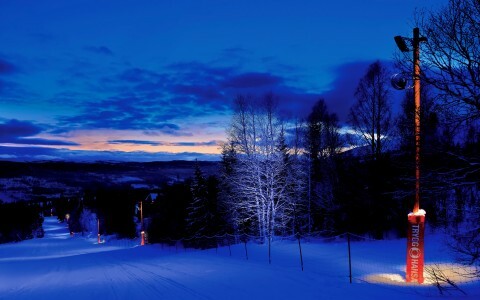 The Lumenbeam luminaires were specifically configured for pole-mounting, and snoots were added to reduce the impact of long-distance luminance. The shifting RGB tones are saturated and make patterns on the ice that can be synched to the music being played over the sound system. 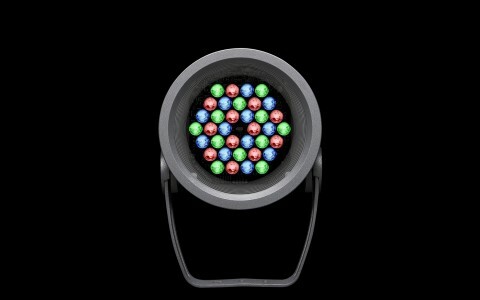 For Arpin, choosing Lumenbeam Large Color Changing was easy. 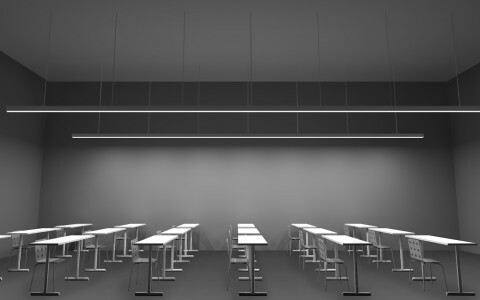 "It was appropriate for its size, the light flux, the lighting distribution and the accessories to control the emitted light," he discloses. Upon opening in February 2012, locals flocked to the rink with much excitement. "That kind of facility didn't exist before," Arpin explains, "for a long time, it was an empty lot. I think they were surprised by the amount of people using the skating rink during winter." Market Square is also surrounded by local businesses, so the revived area not only brings Guelph residents together, it also connects them to their city. "I've heard that what people like the most is the rink's lighting," Arpin says. Considering the large number of photos people have taken of the Square at night, the colored lighting has certainly made an impact.